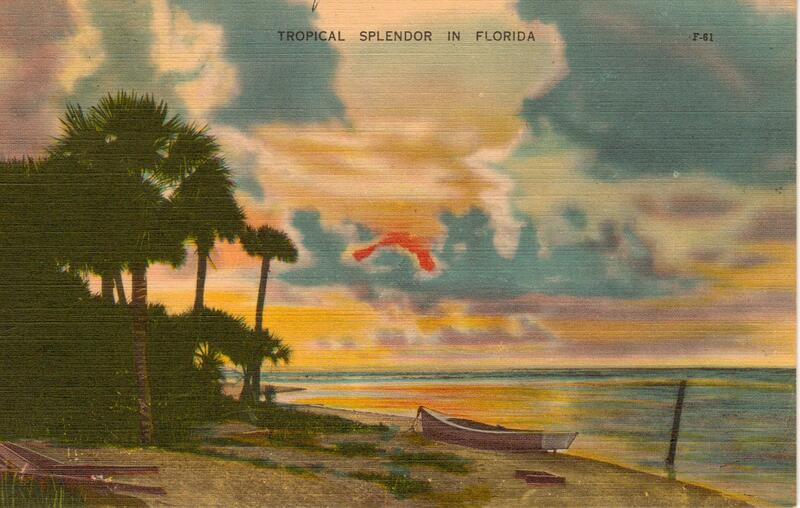 During the Florida land boom of 1920, today's John Morris Road was a sandy trail where moss hung from cypress trees leading to the mangroves, sable palm shoreline called Bunche Beach, seen below. Passing over a low tide creek "runoff" the trail led to what is known today as San Carlos Island. It is here Tom Phillips constructed his coquina rock arches to announce the arrival to Fort Myers Beach. Once over the bridge, visitors arrived on what today is known as old San Carlos Blvd., leading to the Gulf. 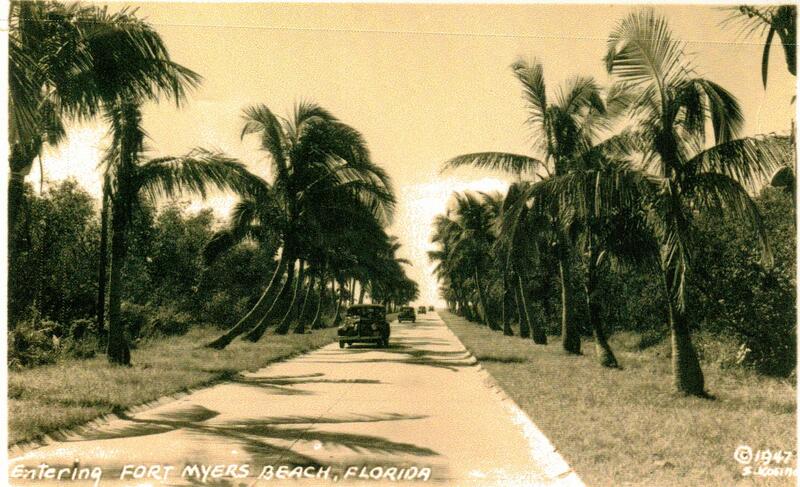 The palms, newly planted by the active Beach Property Owners Association during the early 1930's are seen below. The 1924 arches allowed traffic to flow both on and off the island under a separate arch, with sidewalk arches on each side, allowing for safe pedestrian traffic as well. 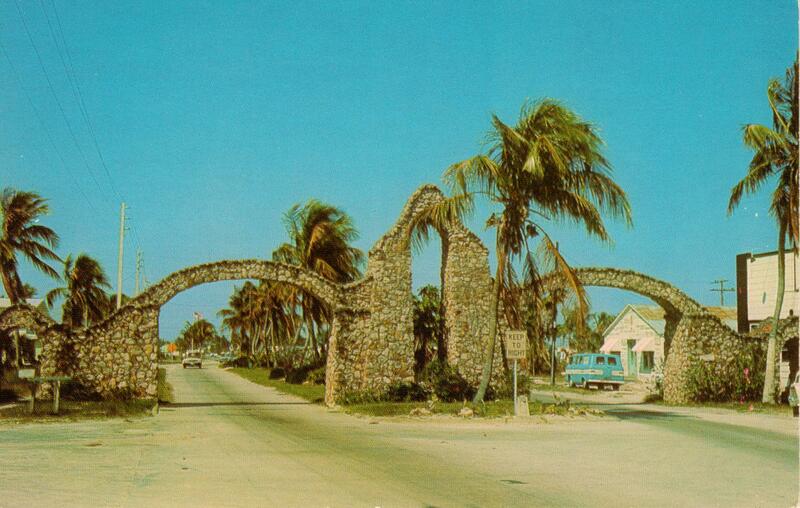 They remained for 55 years to the delight of many, until their removal in 1979 to make way for the present sky bridge from San Carlos Island to the barrier island of Fort Myers Beach.